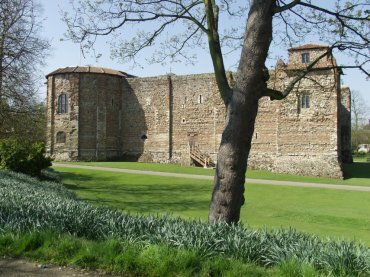 BeenThere-DoneThat: The Castle and Castle Park, Colchester, Essex. The 'old stone doorway' in the foreground is a folly built by Charles Gray, who owned the castle in the 18th century. Gray treated the castle as a ruin in a landscape and embellished it to that end. 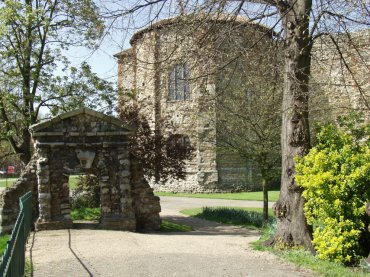 The round tower on the South-East corner of the castle can be seen beyond. This shows a view of the Eastern side with the front of the building (South side) to the left. The Avignon Flower Garden in Spring, seen from the top of the castle mound in the upper part of Castle Park, with the Dutch Quarter beyond. 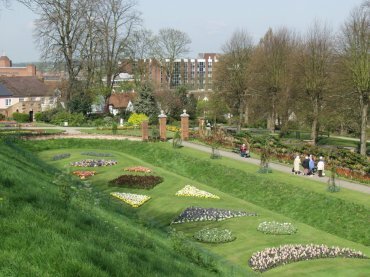 This garden is set in the north ditch of the castle's inner bailey rampart; the bank of which can be seen on the left of the picture..
Out of the picture to the right and a little further down the park it is possible to see another length of the Roman town wall with part of it's defensive ditch. 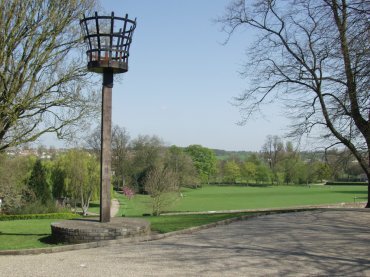 This view is from Upper Castle park during a warm, cloudless day in late April. Somewhere down in the trees is the River Colne. 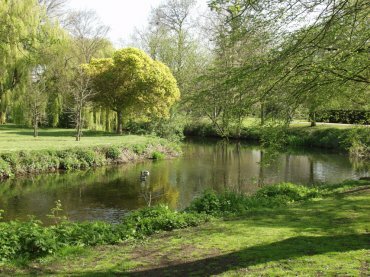 The River Colne in the lower part of Castle park during the latter half of April. The whole park covers about 23 acres.